Department heads report to their council chairperson and committee. All council meetings are open to the public. Please contact City Hall (864-638-4343) to be put on the agenda. All rec games are cancelled again for this evening. County tournament brackets are being reworked and will be released to coaches as soon as possible. 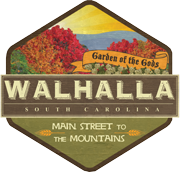 All Walhalla rec games are cancelled for this evening. All rec games at Walhalla have been cancelled for this evening (5/4).